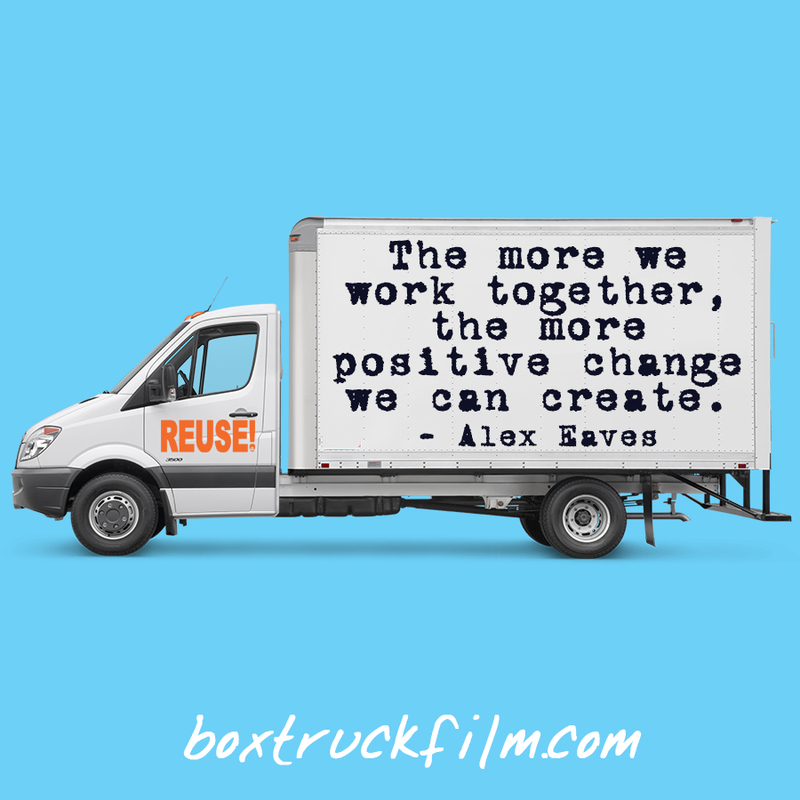 Alex Eaves – Reuse Pro | It’s Not Just A Reuse Workshop. It’s Working Together. ← Join The Conversation: What Do You Keep Out Of The Trash? It’s Not Just A Reuse Workshop. It’s Working Together. 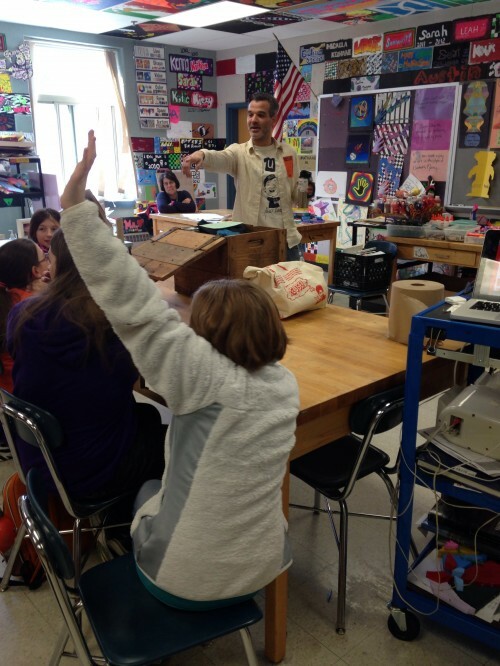 Recently, I visited West Running Brook Middle School in Derry, NH for the first official go at my REUSE! 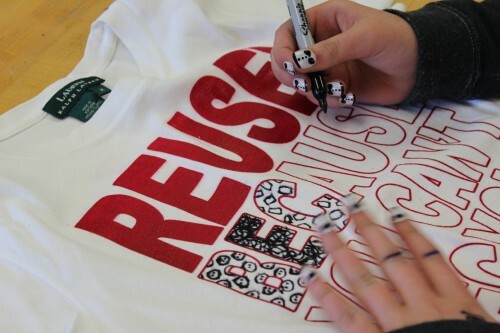 T-Shirt workshop geared towards kids. What originally was planned as a 2-hour session of storytelling and reuse education through shirt designing, turned into something even more. Misty Crompton and the members of the school’s environmental club were such a great first group. Not only were they eager to learn about my work with reuse and create their own REUSE! T-Shirts, but almost as soon as I walked into the classroom, they wanted to share all of the ways that they reuse, both in school and at home. And it wasn’t just the students who wanted to share their reuse ideas with me. My cousin Dora, who teaches at the school, was so excited to show me her latest repurposed creation. 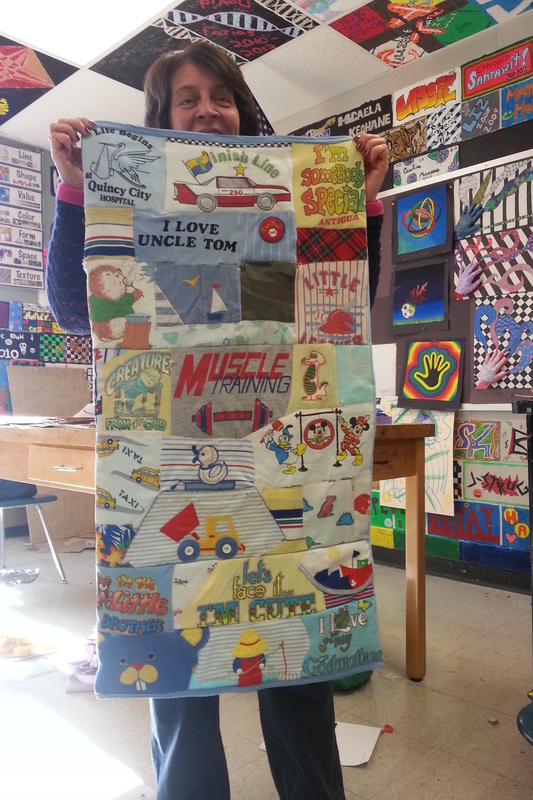 Her son David is expecting his first child and she made him a baby blanket, using his T-Shirts from when he was a little kid. This is such a great way to save money, save resources and share stories from his past with his new family. It’s also a great way to get the child into (well, on to) reuse at a very young age! My new workshop was definitely a success and I really look forward to the next ones that I have booked. 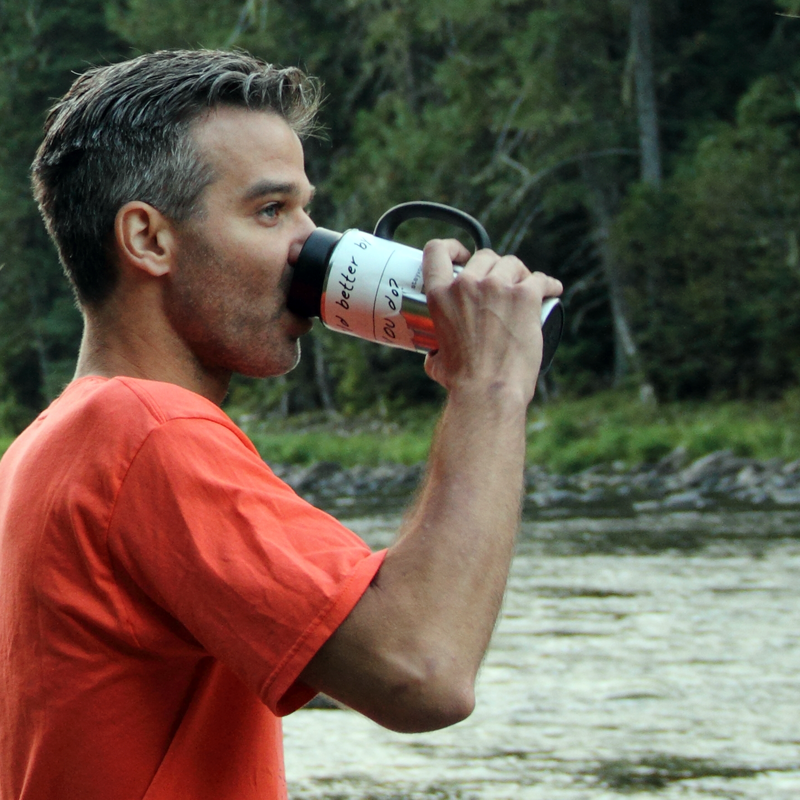 As with most of my engagements, not only was I able to educate a group, but all of us were able to share ideas on how reusing can be beneficial for people, planet, and wallet. Because the more we share, and the more we work together, the quicker we can make this world a better place. If you’re interested in hiring me to run my REUSE! T-Shirt workshop in your class, club, camp, rec department, etc, please head over to my workshops page to get more information and contact me.. This entry was posted in Clothing, Family, kids, STAY VOCAL, T-Shirts, Workshops. Bookmark the permalink. 5 Responses to It’s Not Just A Reuse Workshop. It’s Working Together. Yep, looks good. That is a kind of a thing I would like to get. I think it would make my apartment more comfortable. So many interesting and extraordinary things, I would like to buy something, if to be honest. I even made some attempts to do it by myself, follow the link to see the photos. 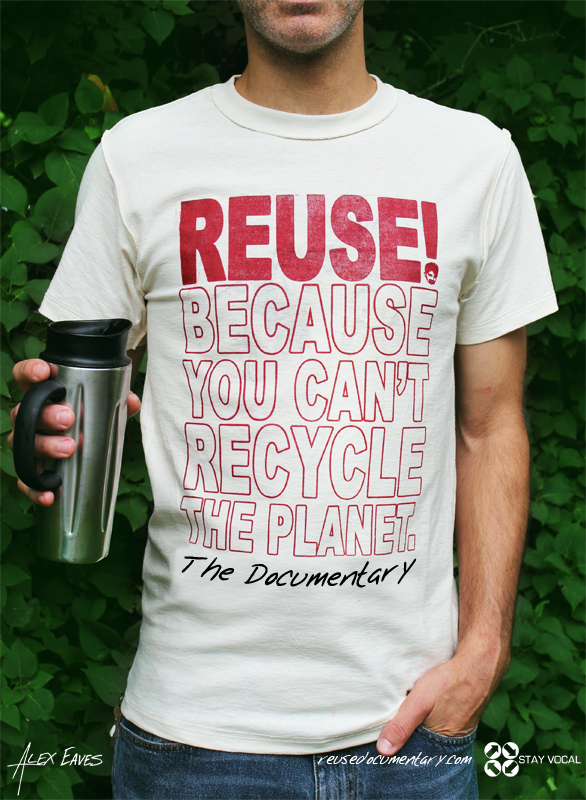 percentage of a piece of furnishings is recyclable”. Cool idea! It's great that your students are engaged in such an activity. It boosts their creativity.